Power button stuck. Is it the proximity sensor? Hello together. I tried to reach the dfu mode. At that, the power button unit slide down and was not clickable anymore. Now the button is not working. I can push the button a little bit down but it doesn't reacts or click. I checked the proximity sensor and the button. I made a photo from the power button sensor and I dont know if the sensor is ok or broken. After the photo, I tried to glue a little pice of cardboard on the sensor but then the home button wasn't moving anymore. So I replaced the cardboard and glue. So I'm note sure if I have to replace the button or the proximity sensor. The power button on the 4s is known for over compressing and not working anymore. 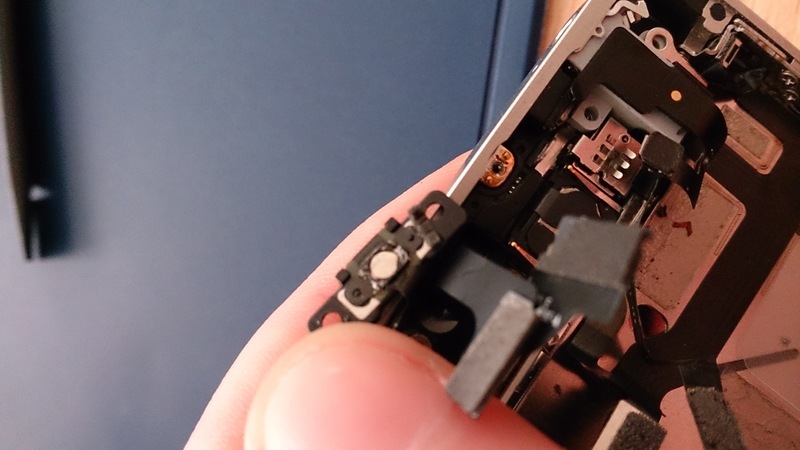 Best just to replace the ribbon cable, which contains the power button and the proximity sensor. Steinberg sonsuza kadar minnettar olacak.